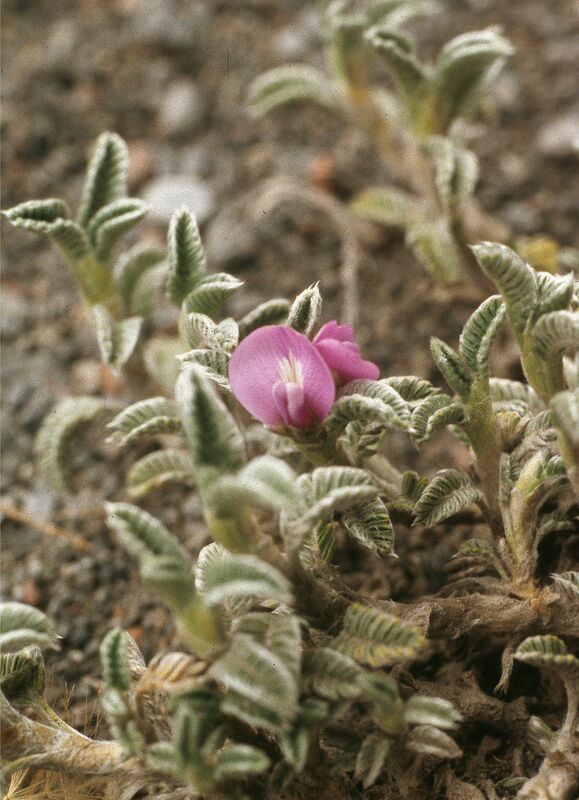 Astragalus Linn., Spl.Pl. 755. 1753. Gen.Pl.ed.5.335.1754; Boissier, Fl. Or.2:205.1872; Baker in Hook.f., Fl.Brit.Ind.2:118.1876; Ali in Biologia 7:7.1961. Herbs, undershrubs or shrubs. Leaf paripinnate or imparipinnate, rarely unifoliolate or digitately trifoliolate; leaflets entire, stipels absent; stipulate. Inflorescence racemose, spicate umbellate or solitary; peduncles generally axillary. Flowers bracteate; bracteoles present or absent; pedicellate or sessile, violet or purple to white or pale yellow. Calyx tubular, teeth subequal. Vexillum ovate, obovate, oblong, panduriform or sometimes appendiculate Wing and keel generally with long claws. Stamens diadelphous, vexillary stamen free, rest (9) united, anthers uniform. Ovary sessile or stipitate, glabrous or pubescent; style straight or incurved, stigma mostly terminal, sometimes penicillate. Fruit sessile or stipitate, 2-valved, unilocular, partly or completely bilocular by an intrusive membrane. Seed often reniform. 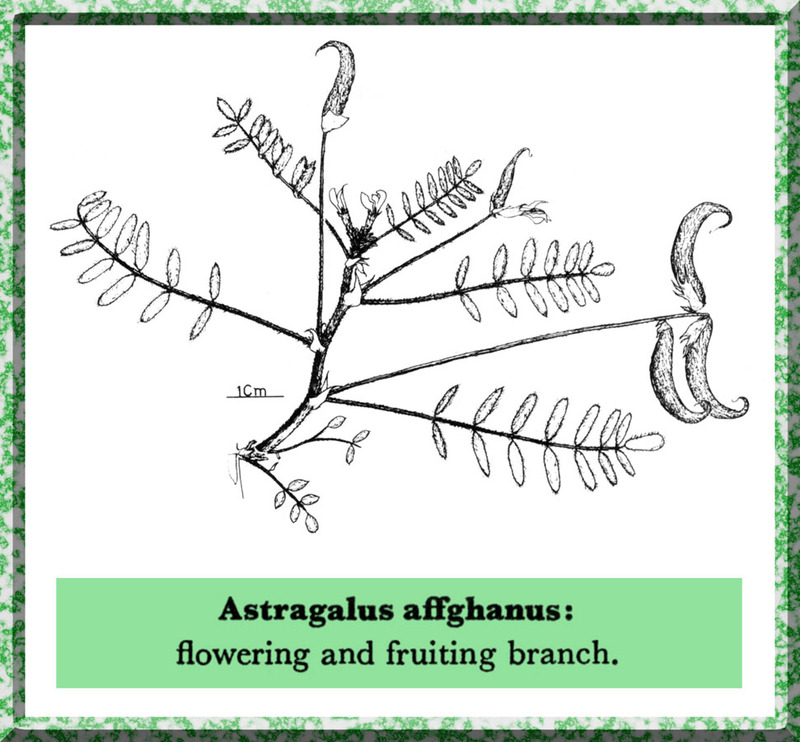 Astragalus is one of the biggest Angiospermous genera with about 1600 species widely distributed in the Old and the New World. In Pakistan it is represented by about 135 species. Sect. 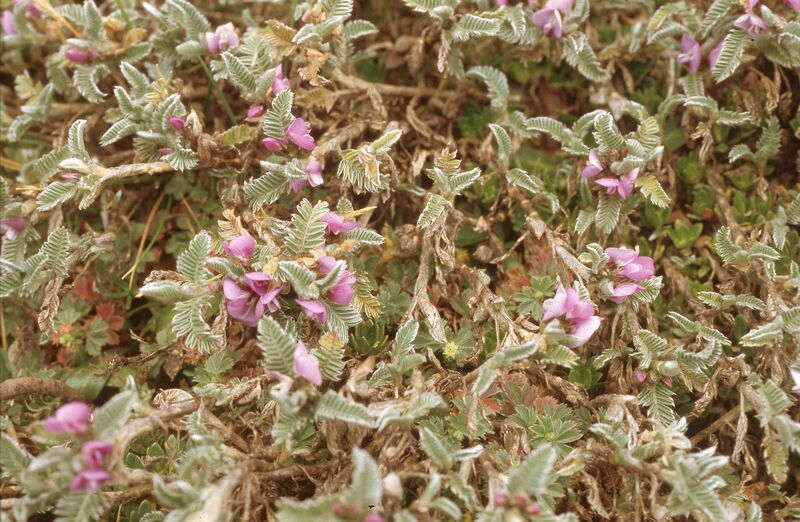 Aegacantha- Astragalus oihorensis, A. lasiosemius, A. leptus, A. psilocentros, A. lamondiae, A. pseudopsilacanthus, A. grahamianus, A. psilacanthus, A. hemsleyi, A. lamondiae, A. infestus, A. bicuspis, A. polyacanthus, A. oplites.